Kathmandu and Pokhara Tour combines a visit to the wonderful places of the city attracting thousands of visitor each month. In Kathmandu, there are seven UNESCO Word Herigate including Pashupatinath Temple, Bouddhanath Stupa, Swoyambhunath Temple, Durbar Square of Kathmandu, Patan, and Bhaktapur, and Changunarayan Temple. This attraction of the valley is must be visited sites in a lifetime which is included in our package. Similarly, Lakes, Caves, Temples, and panoramic mountain view of the Pokhara Valley is yet another major attraction of this tour. The tour begins with a sightseeing inside the valley and then continue to the hill station at Nagarkot. The popular place to view the sunrise and sunset, and aerial views of towering Langtang Range Mountains. Back to Kathmandu exploring durbar squares and ancient temple. 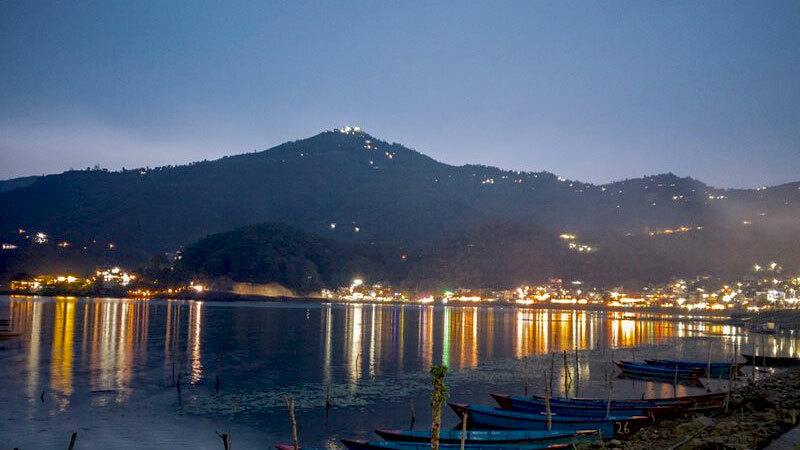 Onward, drive to the naturally blessed Pokhara City which is seven hours drive from Kathmandu. One can enjoy the adventurous rafting at Trisuli River before heading to Pokhara. Not only that but also the Manakamana Temple is another famous Hindu Temple in Nepal that has power of fulfilling wishes of her devotees. Pokhara, the most visited place by the tourist and the gateway of several Annapurna Region Trekking will be the next destination to explore. Begins the morning with the mesmerizing sunrise views over the Annapurna Massif and return to the hotel for breakfast. On the same day visit the temples, Lakes, Caves, and Museum. On the other hand, paragliding, bungee jumping, zip flying, and mountain flight are other sources of spending time on adventurous activities. Completing the tour drive back to Kathmandu. Day 03: Sunrise View and Again Sightseeing Tour. Day 04: Drive to Pokhara Valley. Begins the morning with hot breakfast. Prepare to commence the incredible trip. Drive Kathmandu to Pokhara. Pokhara is 206 km far from Kathmandu and takes around 7 hours. Arrival at Pokhara and hotel check-in. Free time and overnight at Pokhara. Take breakfast and you will have free time until 12 noon (hotel check out time). Then, transfer to the international airport for your onward destination. The time has come to say goodbye and bring the beautiful memories with you. Kathmandu and Pokhara Tour Trip finished here! Twin Bed sharing (2-5 star) hotel accommodation at Kathmandu, Nagarkot, and Pokhara. Wants some modification on Kathmandu and Pokhara Tour itinerary? contact us to customize it.